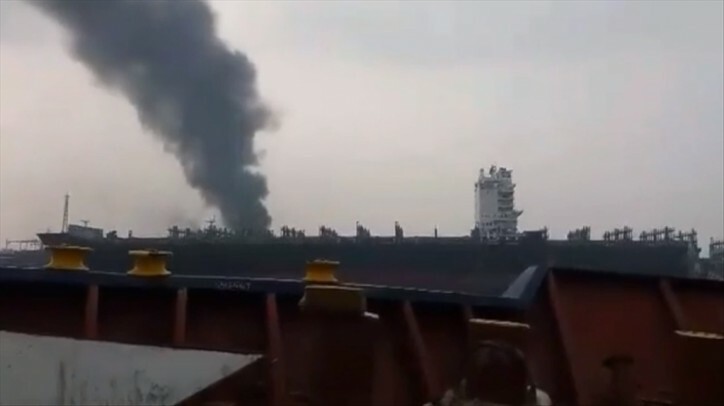 Monday, a fire broke out in the engine room on board a tanker, beached in Chittagong, killing two workers. Md Jamil, 23 years old cutter man, and Bipul lost their lives while scrapping the ship GREEK WARRIOR (IMO 9191412) at Shagorika Ship Breaking Yard. According to local media, Jamil was burned and rushed to Chittagong Medical College Hospital. He died before reaching the hospital. The body of Bipul was discovered on board only few hours later. Shagorika yard and RA Shipbreaking yard, which has been recently under the spotlight for the purchase of Nordic America Tankers’ NORDIC SPRITE, share the same ownership. The tanker GREEK WARRIOR was sold to Bangladeshi breakers by Greek company Polembros Shipping in 2018. In the last ten years, Polembros sent at least 24 end-of-life ships to South Asian beaches. Half of them reached the shores of Bangladesh, where unscrupulous shipping companies keep exploiting minimal enforcement of environmental and safety rules to maximise profits. With more than 900 vessels beached since 2009, Greek owners top the list of global dumpers by far. "It is about time that the Greek government puts an end to the appalling shipbreaking practices of its shipping industry and holds it liable for the irreparable damages caused by beaching. The EU has set a standard that should be followed by Greek ship owners, even when not sailing their vessels under an EU flag. "- Ingvild Jenssen - Executive Director and Founder - NGO Shipbreaking Platform. The vessel changed name, from GREEK WARRIOR to S WARRIOR, and flag, from Panama to Palau, before its final voyage. According to maritime databases, the cash buyer involved in the sale was Prayati Shipping Pvt. Ltd, based in Mumbai, India. Prayati Shipping offers different types of services, including demolition voyage management. All vessels sold to the beaching yards pass through the hands of cash buyers. In this way, ship owners attempt to shield themselves from responsibility, and are paid upfront the highest market price in cash for their end-of-life vessels by the dealers. To reduce costs and avoid being held accountable, cash buyers change a vessel’s flag to one of the typical last-voyage flags of convenience, such as Comoros, Palau and St Kitts and Nevis. Cash buyers also register the vessel under a new name and a new post box company, rendering it very difficult for authorities to trace and hold cash buyers and ship owners accountable for illicit business practices.